The Inverted Fountain at UCLA was designed by Jere Hazlett and was completed in 1968. 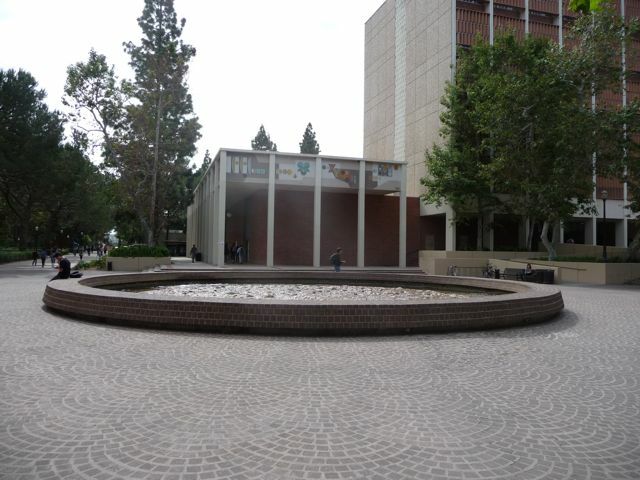 It's located on the Westwood campus in between Knudsen Hall (Physics) and Franz Hall (Psychology). 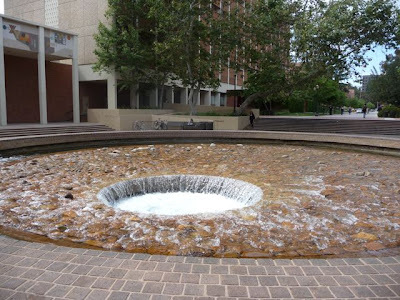 According to various websites, the inverted fountain circulates 10,000 gallons per minute. (The average residential swimming pool has 20,000 gallons - you do the math). I was on the 8th floor of Franz Hall this week, waiting to meet with a professor. 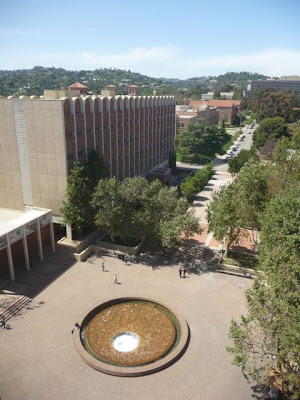 Glad I had my camera tucked in the bottom of my bag - I was able to catch this photo: the Inverted Fountain below and Knudsen Hall to the left. 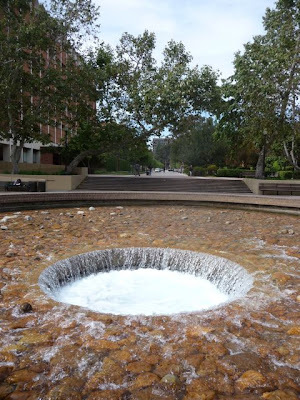 I've seen the Inverted Fountain hundreds of time, but never from this angle. Looking out from the same window: to the left, the Humanities Building. Beyond it, Haines Hall. In the distance, waffle shaped Bunch Hall. 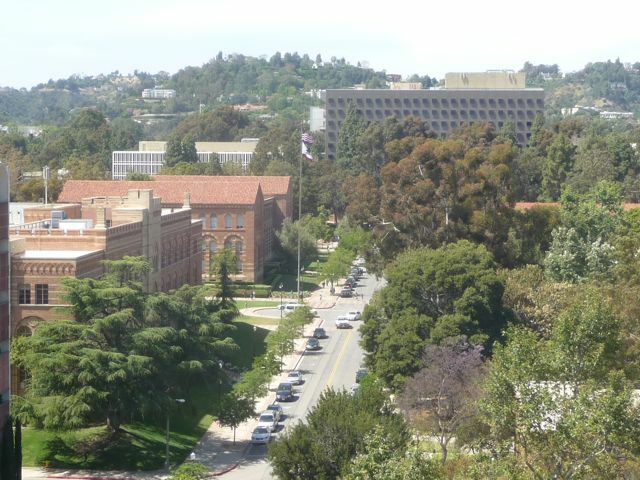 The hills behind campus are actually the "Bel Air" section of Los Angeles, featuring some of the most real estate in the world. Makes for a nice background, but it's definitely not what anyone would call student housing, or a college town. Another take on Los Angeles. The "inverted fountain" bears a similarity with the newly-unveiled World Trade Center memorial in NYC.